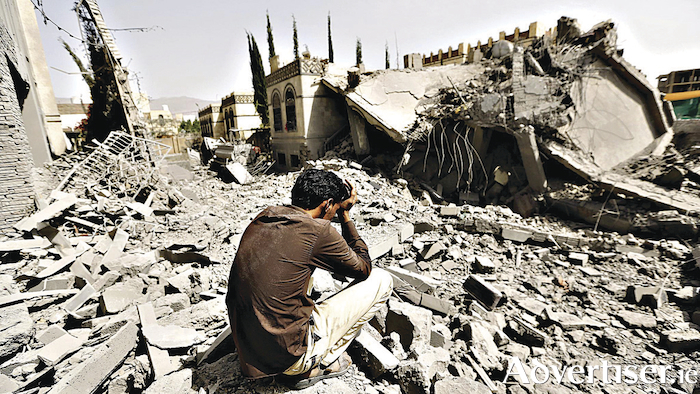 The civil war in Yemen has devastated the country and its people; saw European powers sell weapons to Saudi Arabia, one of the players in the conflict; and yet the conflict has received very little attention internationally. The Galway Alliance Against War is organising a peace vigil and petition regarding the Yemen war, for this Saturday between 1pm and 2pm at the junction of Shop Street and Mainguard Street. The petition is directed at Government TDs in both Galway constituencies, and asks why Ireland is supporting genocide in Yemen, and demanding that all US military traffic through Ireland and Irish airspace cease immediately. The group was also critical of what is called “the hypocrisy” and “crocodile tears” of Foreign Affairs Minister Simon Coveney, about so-called “illegal immigrants entering the USA”, when “Ireland is an accessory to genocide in Yemen”. Page generated in 0.1594 seconds.